9. — This story always captures the girls attention and keeps it the entire time. While it’s not a realistic story, it’s still a fun book to read — and the pictures are enjoyable, too. It’s also a great way to teach your children about the fact that, just as the fox in the story, some people can pretend to like you or have your best interests in mind, when really, they are out to hurt you. It’s important to teach your children to be cautious and discerning — otherwise, it could lead to great harm in their life. 10. — This book is such a fun read! The pictures are colorful, the story line is engaging and it also opens up opportunities to introduce your children to how different people in different countries live. 11. — Hand’s down, Lois Lenski is one of our very favorite children’s authors and it’s impossible for me to narrow down our favorites to just one or two of her books. I grew up on her books and have been delighted to be able to share them with my children, as well. Most libraries have almost the entire collection of them and I’d highly recommend checking them out if you have youngsters in your home. 12. — We’ve searched high and low for quality children’s Bible story books. Ones that are accurate, doctrinally sound and not filled with nonsense and fluff are hard to find. I apprehensively ordered The Jesus Storybook Bible about six months ago based upon the strong recommendations of friends I trust. 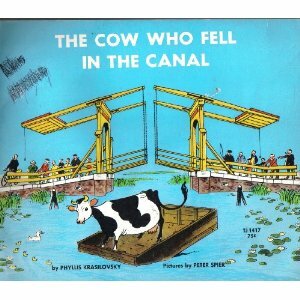 It has since become our most treasured read-aloud. The girls would pick this over any other book any day. « Q&A Tuesday: How do you get started following the Dave Ramsey plan? We love, love, love “The Big Picture Story Bible” for the same reasons. It has great doctrine and great pictures. Thank you so much for the reading list! @Sherry, This was the same one I was going to recommend. It shows how Jesus has been the plan since the beginning. Love it! And we’re very picky about this type of material. I also love the big picture story bible because it caries the whole line of scripture through. It doesn’t make the Bible seem like it is a series of discreet stories. It show that the whole line of scripture is leading to God’s “Forever King.” And that Jesus fulfills that. It also has fun pictures. It’s a little less “wordy” than the Jesus story Bible so I like it for the younger crowd. Love the Jesus Storybook Bible! I was also going to recommend “The Big Picture Story Bible”. Our toddler doesn’t quite have the attention span for it, but it’s beautifully told and well split up into individual stories while maintaining continuity. Oh yeah, and doctrinally sound. It doesn’t water it down too much, either. We read the Jesus Storybook Bible every night and my 3.5 year old son always wants “just one more” story. It’s definitely a favorite over here. We love Lois Lenski books at our house, too. They are so sweet! We read the Jesus Storybook Bible every night and have been through 4 times, already, this year! I actually really like the illustrations, though 🙂 Thanks for your recommendations, Crystal! We love the Jesus Stroybook Bible too! Amazing! I’ve never read such a beautiful and thought provoking children’s Bible. It spoke to me and the kids. I got the CD set too to listen in the car. i was pleasantly surprised to see the “jesus storybook bible” on here. my little one is too young for it but we received it at her dedication from some pastors that I really trust. i’m looking forward to enjoying it with her. Have you read any of the “Betsy-Tacy” books yet? The first four books in the series are illustrated by Lois Lenski. It is a very sweet series (based on the true life story of the author, Maud Hart Lovelace) about girls growing up in the early 20th century in small town Minnesota. The girls are five in the first book. The ten book series takes the main character all the way through becoming a young woman and getting married. 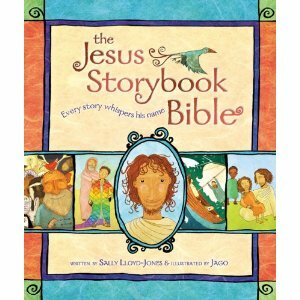 We love the Jesus Storybook Bible, too! I agree that a few of the stories are not 100% accurate, and the illustrations leave something to be desired, but the heart of the gospel is so clearly presented. Even my 9-year old likes to listen along. We love love love the Jesus Storybook Bible!!! I love how every story points to the entire purpose of the Bible – Jesus! I think that the art is unique and creative – a nice alternative to cartoony/precious moments art that is typically in kids books. Another wonderful children’s book with a Christian theme is Fool Moon Rising. It is excellent and perfect for young children. I’m 24, but I think I could quote Fool Moon Rising. I’d buy it for anyone with 3-7 year olds. I wanted to read it to my seventh graders but i teach in public school so I probably couldn’t get by with it. I love Fool Moon Rising. It has a great cadence to it that is so rare in Christian Children books. It’s more expensive than I usually pay for children’s books, but it’s worth it. I will have to try the Jesus Storybook Bible! My kids are about ready for an upgrade from their current toddler Bible. My MIL babysat a few weeks ago and the kids asked her to read them a Bible story before bed; they chose Moses and the Plagues. Anyway, when we got home she tells me that she didn’t feel it was appropriate for their age. It was too scary so she CHANGED THE STORY! I know she does that to songs and fairy tales, but the BIBLE? I was utterly speechless. – some of our other fav chapter books are – The Borrowers series, and All-Of-A-Kind-Family series. Our 17 month, little girl LOVES The Jesus Storybook Bible! She asks for it many times during the day and would rather read this than any other book!!! Lovely, really enjoyed reading your 15 favorite children’s read-alouds, thank you! I also recommend the Jesus Storybook Bible. My 4-year-old received it as a gift after I had a late-term miscarraige. What a nice gesture to help our son during a difficult time. It helped us both actually. Thanks for this series, Crystal. I like that you are doing more of this since the Mom of Littles blog is no more. ;( We too love the Jesus Storybook Bible and recommend it to all our friends. The Adam Raccoon Series is also wonderful for 4-7 year olds. Check it out! @Amy, Agreed! I loved the mom’s of littles blogs and I love to learn about educating my children, even though I work full time outside of the home. The beloved Adam Raccoon series is back in print! Learn more at adamraccoon.com and please spread the news! I love all your 15 book selections. Thanks for including this. I also wanted to mention that the Border’s Dog Dare book giveaway is great. We had a very pleasant experience in our local Border’s. The staff was encouraging to our 3 year old and made him feel so great about reading. We also found a few good books on EXTREME clearance. Their book prices are the best in our town. Additionally, they have a free loyality card program that gives you $5 upon signup. A few of our clearance books were free today after the coupon. Check it out. And thanks again for including these book reviews. I am the librarian at a Christian school. 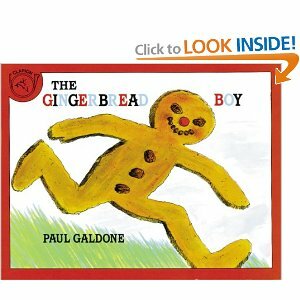 I have enjoyed these posts about your favorite read alouds. It’s always good to hear various opinions. Many are some of my favorites as well… a few are ones I don’t have, but I will try to get them. Thanks for encouraging reading.